The Congress leader said the Prime Minister has miserably failed in fulfilling promises that he had made during the run up to the 2014 general elections. NEW DELHI: Congress said on Monday that neither Gujarat nor India would forgive Prime Minister Narendra Modi after the latter accused the Sonia Gandhi-led party of celebrating the release of Mumbai attack mastermind Hafiz Saeed from house arrest. “There is no truth in Prime Minister Narendra Modi’s allegations, but I will say neither Gujarat nor people of India will forgive him,” Gehlot told ANI. “He had talked about ‘achhe din’, black money, giving employment to 2 crore youth, containing price rise, beheading ten Pakistani soldiers’ heads for one Indian soldier’s head. There is a long list of Prime Minister Modi’s promises. 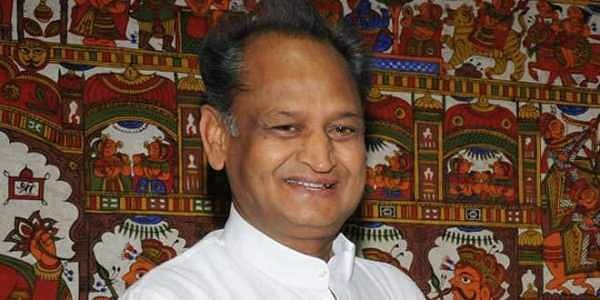 He should tell us which promise has he fulfilled,” Gehlot said. He also recalled the Parliament attack in 2001, when Atal Bihari Vajpayee-led government was at the centre and said it happened after the same government had “escorted” Jaish-e-Muhammad chief Maulana Masood Azhar to Kandhar in Afghanistan and boosted terrorists’ confidence. Addressing a rally in Bhuj of Gujarat's Kutch district, the prime minister had said, "A Pakistani court released a Pakistani terrorist and the Congress is celebrating and calling it our failure. I don't know why they are celebrating this." Earlier, Congress vice-president Rahul Gandhi had taken a dig at Modi following the release of Saeed, saying that the former's 'Hugplomacy' with US President Donald Trump has failed.